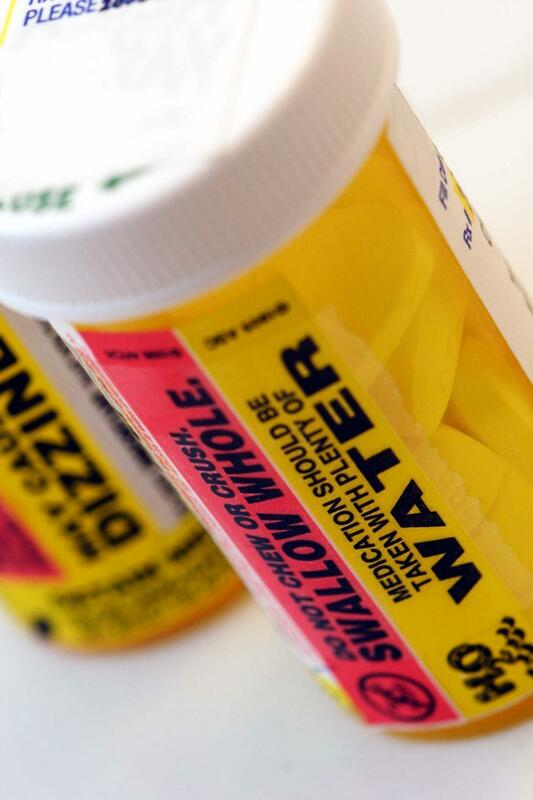 Stickers on the side of a prescription bottle giving warning and instructions. Simple photograph. Less is more.